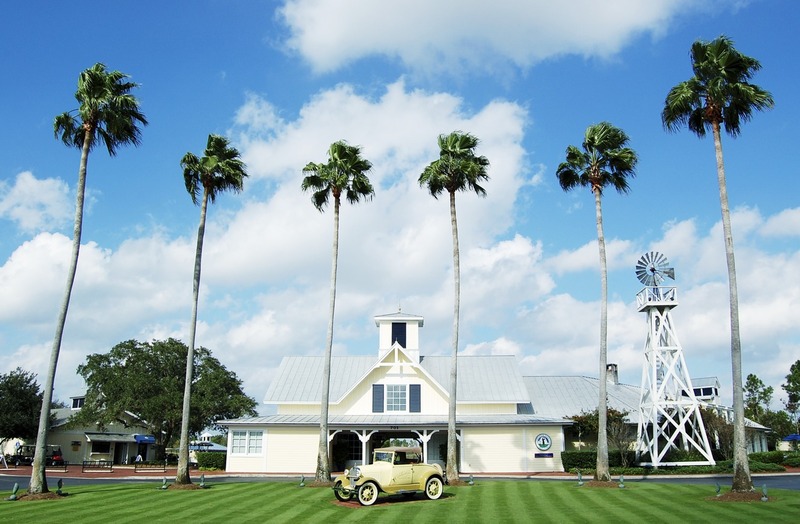 Kissimmee is home to some of the best golf that Florida has to offer. Here, you can tee off on championship courses designed by legends of the game, drive along fantastic fairways, and sink a birdie on rolling greens. And with year-round warmth and sunshine, it’s always the perfect time to play a round. To help you plan a great golf getaway in Kissimmee, here are a few must-tee courses we think are a real hole in one. 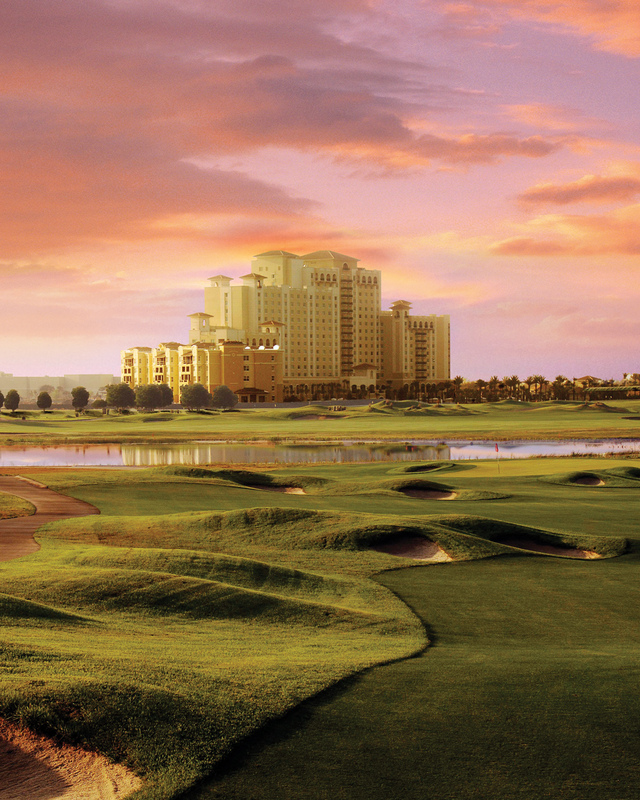 Enjoy 36 holes of golf and spectacular surroundings at Omni Orlando Resort at ChampionsGate. The ideal destination for your golf vacation, ChampionsGate features two courses designed by the legendary Greg Norman, who you might know as The Shark—one of the greatest golfers to ever play the game. 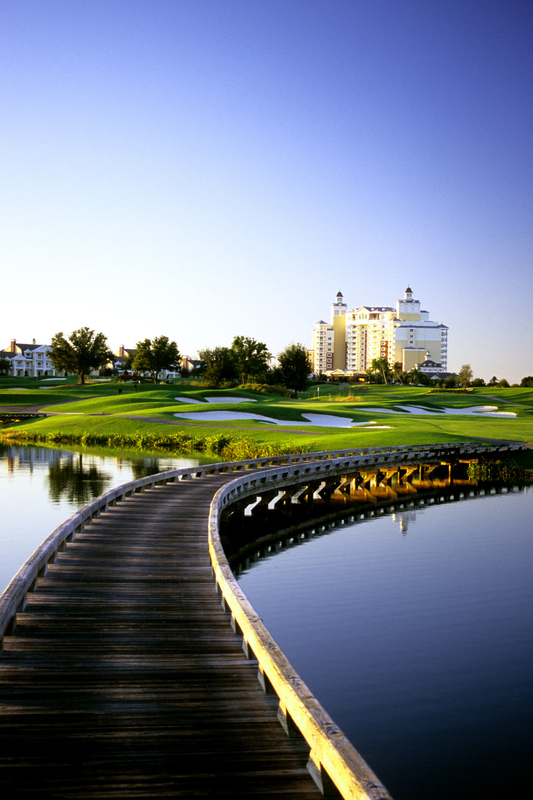 The National Course winds through 200 acres of pristine wetlands, woodlands, and former Florida orange groves. With sweeping fairways, challenging doglegs, and plenty of sand and water hazards, this course offers players of all skill levels the chance to feel like true shot masters. The 18-hole, par 72 International Course boasts the highest course rating in all of Florida—making it a delight for golfers who love a challenge. Hard, wide fairways and fast greens are the hallmarks of this imaginative course, which offers some of the most thrilling golf in the area. When the day on the course is done, Omni Orlando Resort at ChampionsGate is an ideal home-away-from-home for you and your family. Relax on the lazy river (and think about your golf game), enjoy fine dining (and think about your golf game), and even indulge in the full-service spa (did we mention it’s also a fantastic place to think about your golf game?). Originating in Scotland hundreds of years ago, links golf is the oldest form of golf in the world and beloved by players everywhere. The Royal St. Cloud Golf Links pays tribute to this type of course, with three 9-hole courses inspired by legendary clubs like St. Andrews and Carnoustie. Ranked as the top links-style course in the area, Royal St. Cloud was designed by Chip Powell, and features generous rolling fairways, undulating redan and cape hole greens, and multiple bunkers. Each hole offers something unique, and you’ll need to use your smarts (as well as every club in your golf bag) to come out on top. Best of all, on the 8th hole of each course, there’s a Deli Tele—an iconic British telephone booth where you can call in an order of food, and it will be ready and waiting when your game concludes. Sounds like a great day on the course to us! Sometimes a name says it all. Celebration Golf Club has been a favorite with locals and golf vacationers alike for more than 20 years. Designed by the legendary father/son duo of Robert Trent Jones Sr. and Jr.—who believed every hole should be “a hard par and an easy bogey”— Celebration Golf Club is as stunning as it is challenging. And if you’re traveling with a junior golfer, you’re in luck. Celebration Golf Academy is the perfect place to hone skills—and a lifelong love of the game—thanks to its specialized junior clinics and a 3-hole course for junior players to tee off (and show off). 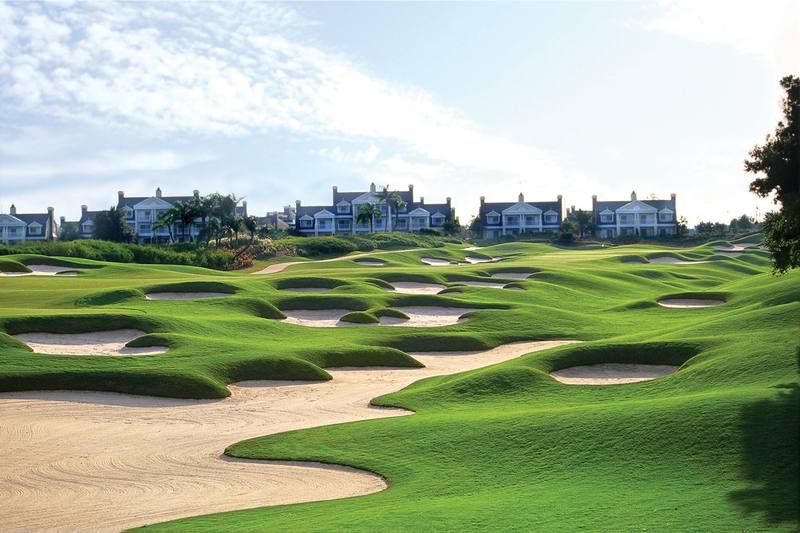 It’s fitting that Reunion Resort and Golf Club is the only place in the world where you’ll find Signature Design courses by Jack Nicklaus, Arnold Palmer, and Tom Watson. Because as one of Golf Digest’s “2018 Best Golf Resorts in Florida,” Reunion Resort can make you feel like you just won the Masters. The Nicklaus Course rewards big risks with even bigger rewards, tempting golfers to hit tricky shots, all while thinking two or three strokes ahead. Known as a players’ course, the Parkland-style layout provides you with a challenge from opening drive to final putt. The innovative Palmer Course can feel like a roller coaster, as you make your way along its hilly terrain. (At times the elevation can change up to 50 feet, a rarity in Central Florida.) This makes for a course full of risk/reward situations to keep you guessing. If you’re a finesse player who’s more interested in short games versus long drives, you’ll feel right at home on the Watson Course. Make your way around strategically placed bunkers toward large, lush greens, where you can putt for bragging rights (and perhaps to see who’s buying the first round at the 19th hole). Pro tip: To play any of these courses, you must be a member or guest at Reunion Resort, so keep that in mind when booking your vacation. Tea Time? More Like Tee Time! 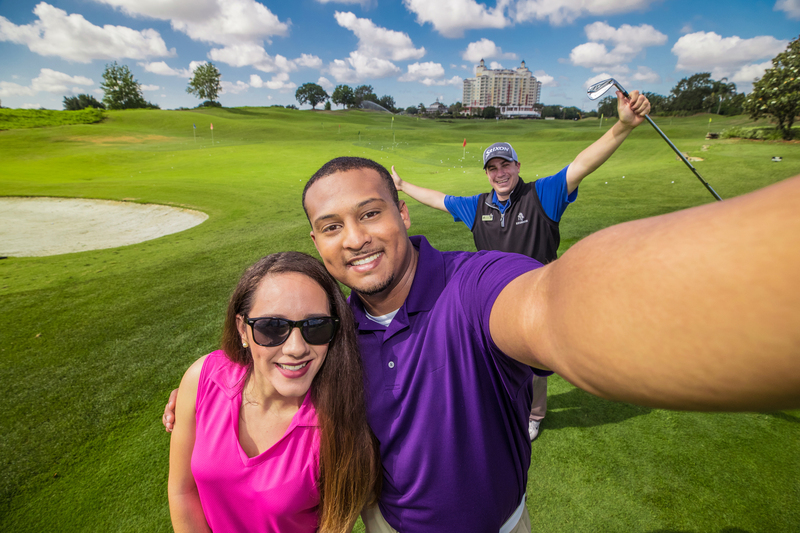 Kissimmee is our name, and golf is our game! 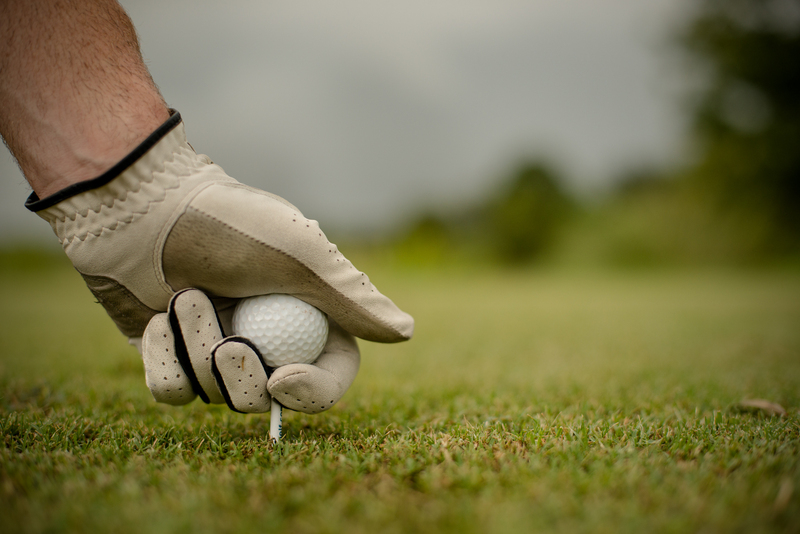 Take a sip of your Arnold Palmer, practice your best Chi Chi Rodriguez moves, and start planning your unforgettable golf getaway today.